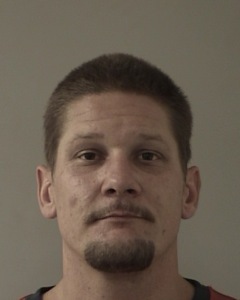 Camino – CAL FIRE and United States Forest Service (USFS) law enforcement officers, in conjunction with the El Dorado County District Attorney’s Office and the El Dorado County Sheriff’s Office, arrested a Pollock Pines man on suspicion of arson in connection with the King Fire. Wayne Allen Huntsman, 37, of Pollock Pines was booked into the El Dorado County Jail for arson on Wednesday, September 17, 2014. Federal, State and Local law enforcement officers work diligently in arson cases to aggressively investigate and prosecute those suspected of intentionally starting fires. As fire danger remains extreme across California, arson is a major threat to both life, property and natural resources. Residents should be vigilant in their preparedness and aware of suspicious persons when a fire does start. If you witness someone suspicious make note of the time, his or her physical description, as well as any vehicle description, including the license plate number. Always contact law enforcement, never approach a suspicious person. Anyone with information about arson is urged to contact the CAL FIRE Arson Hotline at 1-800-468-4408. Callers can remain anonymous.